Quick Close, Cash In Your Pocket! “Help, I need to sell my house quickly”… You are in the right place! We started Sell Your House DFW to help families and individuals just like you and to revitalize neighborhoods and communities around the DFW area. We are not like the other companies that buy houses that are just looking to turn a quick profit. We are home investors in Dallas Fort Worth who actually care about you and your situation. And as DFW home investors, we will be able to offer multiple solutions to you situation. We are here to help good people like you get out of bad situations. So if you need to sell quickly, we can give you a fair offer and you can get cash for your house. We can buy ugly houses, and we can buy beautiful houses. We know it can be extremely frustrating to own an unwanted property. Let us take that burden from you and buy your Texas house now, regardless of condition or situation. We understand that every situation is unique, but if any of these describe you, please know that we can help you! 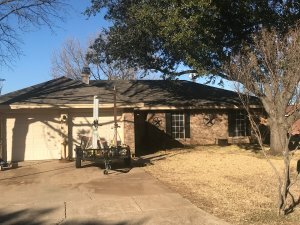 We bought this house in Fort Worth and saved a family from bankruptcy. We are adding fresh paint, fixtures, and flooring to give it a new look! I HAVE TO SELL MY HOUSE FAST! Do I sell my house before or after divorce? Upside down in your mortgage. 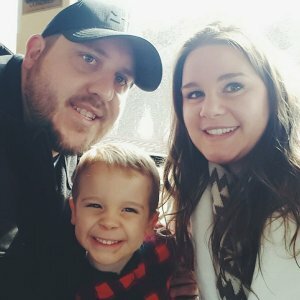 Stuck with some financial issues. It doesn’t matter whether you are currently living in it, renting it out, it’s vacant, or your last tenants trashed the house. We can buy your house “AS IS” . We won’t ask you to fix ANYTHING! If you inherited a house with a mortgage, we help homeowners who have an unwanted property through probate or other means. If you own a vacant house, are behind on payments, owe liens and back taxes, or relocating and can’t sell, we are here to help. Even if the house needs TLC that you can’t pay for… and yes, that even means if the house is a complete gut job down to the studs, give us a call and we can make you a fair cash offer on your house as is. Basically, if you have a property and need to sell it fast… we’d like to make you a fair cash offer and close on it when you’re ready to sell. And as a bonus…you won’t have to clean up or make costly and timely repairs to the the property. Don’t waste time finding a realtor who you trust and who can deliver on their promise of selling your house quickly. No need to put your house up for sale. No contracts that bind you for long period of time. No hassle and no obligation. and the BEST part… You won’t pay any commissions, fees, or closing costs. We take care of it ALL. 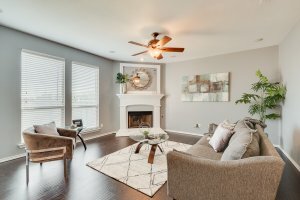 An inside look at one of our flips in Fort Worth! We will know right away if we can help you, and unlike selling through real estate broker, you don’t have to wait to see if the buyer has money or has been pre-qualified… So, if you have ever said “Man, I wish someone could just buy my house now,” You are in luck! We have cash and we are ready to buy right now! We offer a hassle free sale of your house. The hassle of getting your home ready to sell can add stress, months to the process, and in the end after paying the agent’s expensive fees, you may or may not be ahead of the game. Don’t let that happen! We know it is overwhelming, so please reach out to us and we can help you. No matter the condition your house is in; no matter what your situation is…. We are Home Investors in Dallas Fort Worth. Our job is to help make your life easier and get you out from under the property that’s stressing you out… while still paying a fast, fair, and honest, cash price for your house. 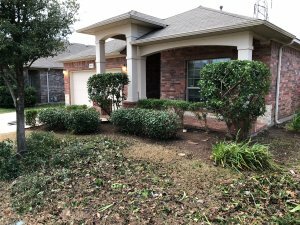 We purchased this house on Oak ct in North Richland Hills. from James R.
We help property owners just like you, in all kinds of situations. From divorce, foreclosure, death of a family member, burdensome rental property, and all kinds of other situations. WE BUY HOUSES in Dallas Fort Worth and surrounding areas and pay a fair cash price, fast. Sometimes, those who own property simply have lives that are too busy to take the time to do all of things that typically need to be done to prepare a house to sell on the market… if that describes you, just let us know about the property you’d like to be rid of and sell us your house fast for cash!